From Natchez, we headed south into Louisiana. We drove through Baton Rouge, and then made a stop just outside of New Orleans. Along the Mississippi River, east of the city, sit several grand old plantation homes that date back to the early 1800s. 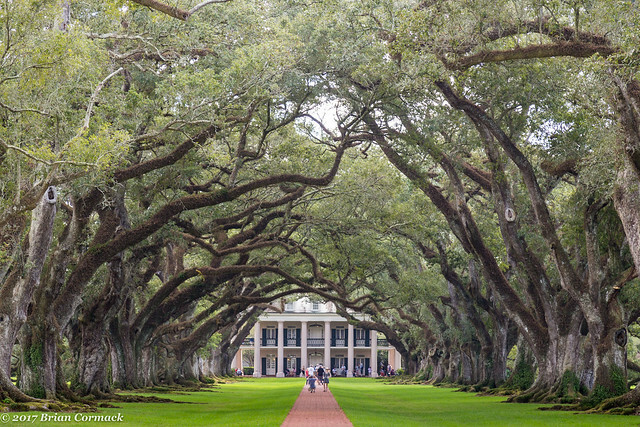 One of the most famous of these houses is the Oak Alley Plantation, which was built in 1837. The path to the house is framed by two rows of massive live oak trees, and it has been used in several films like Interview With A Vampire and Primary Colors (and even a Beyonce video). We stopped to take a few pictures but found out that the entrance fee to the grounds was a very steep $22. Since we didn’t want to pay nearly 50 bucks just to take a few pictures (and we had visions of a toddler running through the house like a tornado and destroying a bunch of priceless antiques), we cheated a bit and got a few pictures of the live oak trees from the road. It worked, and saved us some cash! Although Oak Alley would get its revenge. Right after we left, the low tire pressure warning came on. We pulled over and found a big fat screw had embedded itself in one of the tires. We had to find a place to patch it before we drove on into New Orleans, eager to head into the French Quarter. From Rodney, I made the short drive over to the Windsor Ruins. Since Rodney is a ghost town in the middle of nowhere, this meant driving through a few miles of bumpy and dusty dirt roads. 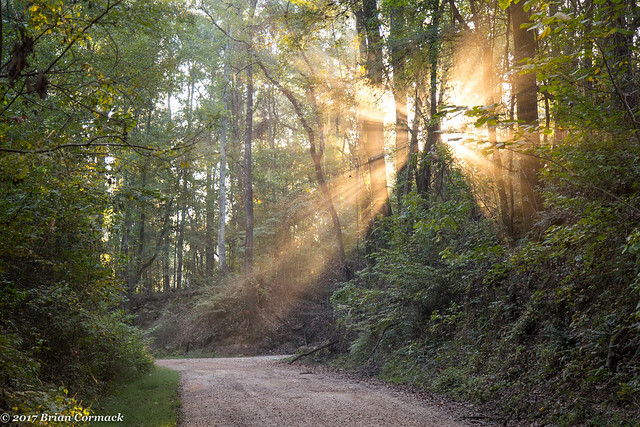 At one point, the rising sun burst though the trees covering the road. The light was shining through the dust that had been kicked up by passing cars. The road then ran right into the middle of Alcorn State University, which I though was oddly busy for an early Saturday morning (when I was in college, I definitely would not be up and awake at 8:00 AM). There were already tons of students out walking around, and then lots of people strolling through campus. It would turn out that it was Homecoming Weekend, and there was a football game and parade that day. Streets through campus were beginning to be shut down for the parade, and I managed to sneak through without getting in the way of the game. 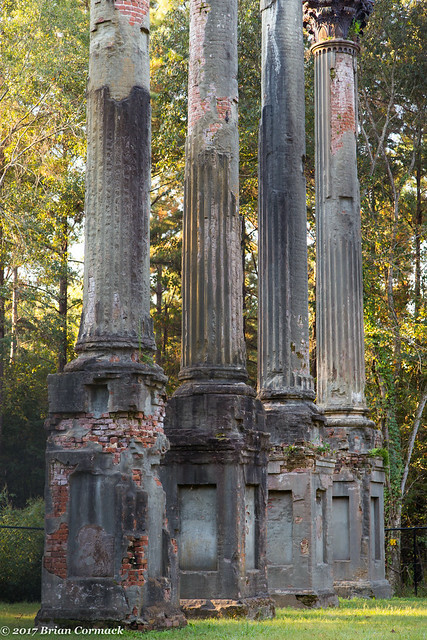 I drove a few miles down the road to the Windsor Ruins, which are 23 columns that are the only remnants of a massive mansion that stood here from 1861 to 1890. 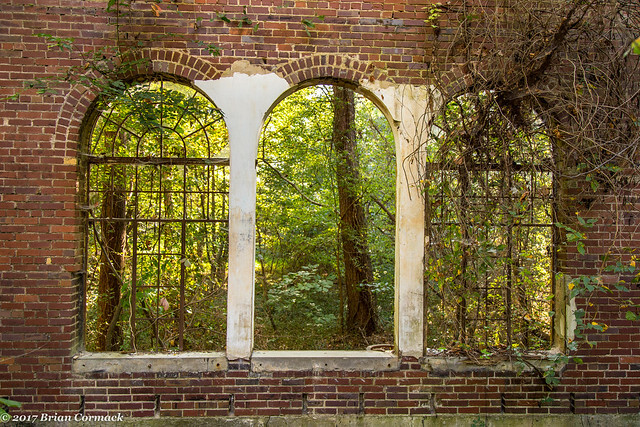 Windsor Mansion was built on a plantation that is just four miles from the Mississippi River. The mansion was huge, and contained 25 rooms and also 25 fireplaces. The roof had an observatory, which was used by both sides during the Civil War. The house probably only survived the war because it was used to watch the river and because of its use as an hospital. After the war, Mark Twain used the observatory to watch the river, and mentioned the elegance of the home in his book Life On The Mississippi. After surviving the Civil War, the mansion would end up being destroyed by a fire caused by a cigarette dropped by a houseguest in 1890. The home burned, leaving behind only the columns and the iron steps (which are now part of a building at Alcorn State). 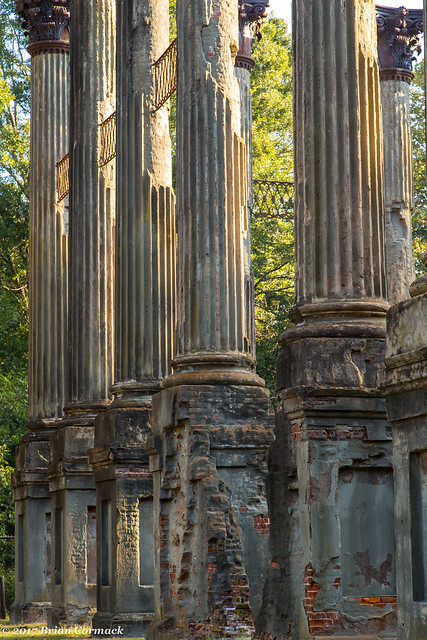 The columns have stood for over a century since, but they are weakening and in danger of collapse. A fence was recently installed around the columns, which prevents people from getting too close to the ruins (and also makes getting pictures a little difficult). I tried to get a few pictures and then made the drive back to our hotel in Natchez. Along the way I got a picture of this old church, which was built in 1824. After that we then headed further south, towards New Orleans. Last week we took a vacation down to the Gulf of Mexico, staying a few days in New Orleans and then a few days in Pensacola Beach. Since we were traveling with a 20 month old toddler, we thought it would be wiser to break up the drive into segments in order to limit the amount of time he would be stuck in a car seat. So the first day we drove south, passing into Louisiana and then stopping for the night in Natchez, Mississippi. 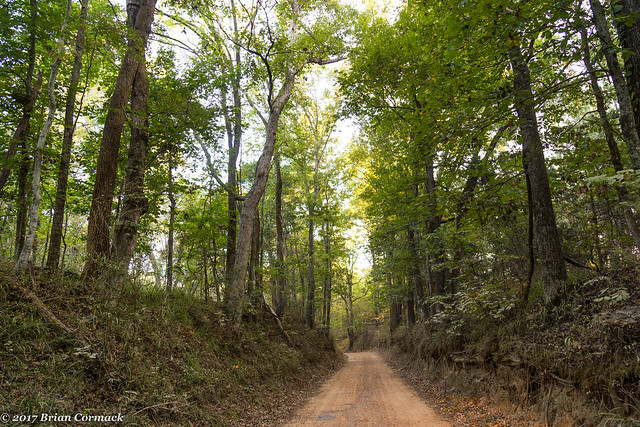 Early the next morning I woke up before sunrise and snuck out to get a few pictures in the deep woods outside of Natchez. 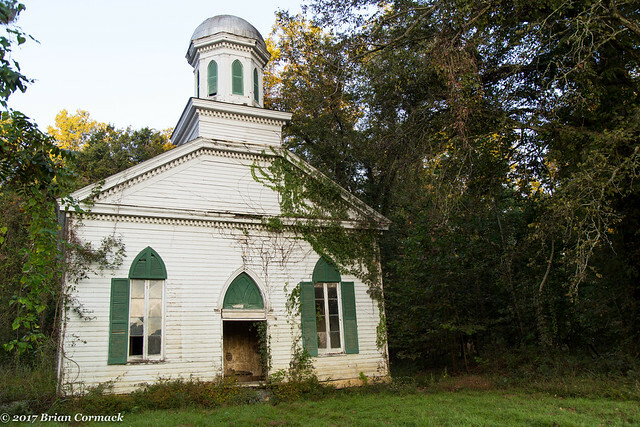 After driving down the Natchez Trace for a bit, and then some bumpy and extremely dusty dirt roads, I ended up at the first stop – the town of Rodney, Mississippi. 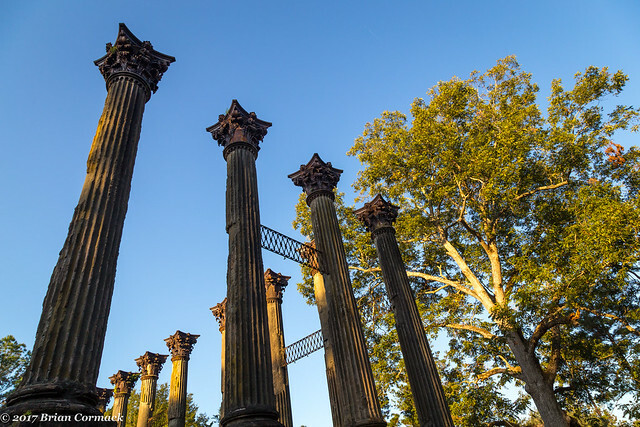 Rodney was founded way back in 1812, and very nearly became the capitol of Mississippi (the city lost out on only three votes). 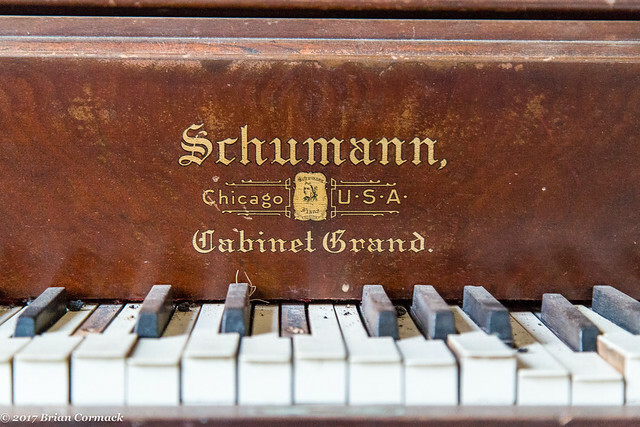 The town was situated along the Mississippi River, and was a bustling town during the 1800s. But while a few people still live in the area, Rodney is nothing more than a ghost town now. 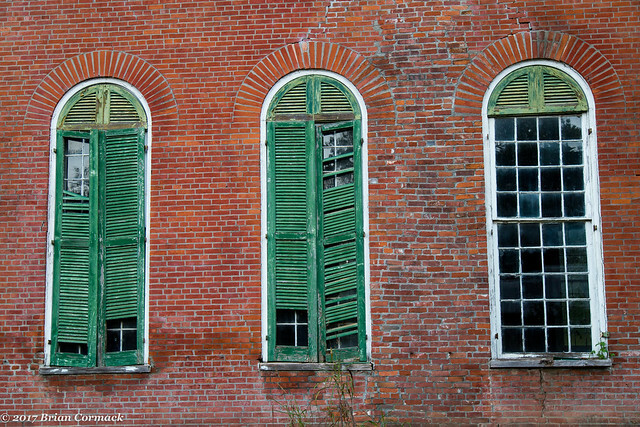 Only a few old buildings remain, barely offering a glimpse of the town’s past life. 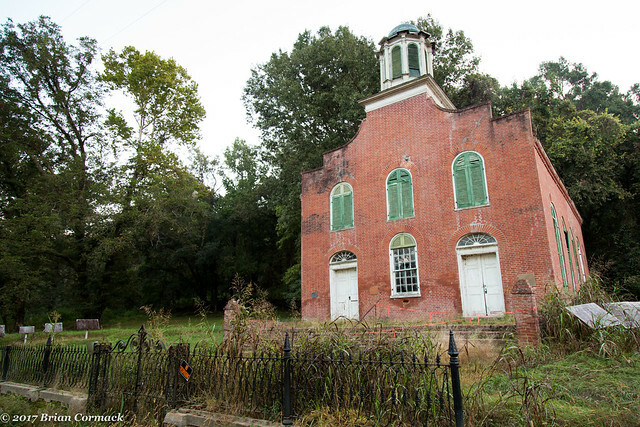 One of the most prominent buildings that still stands in Rodney is the Presbyterian Church, which was constructed in 1832. 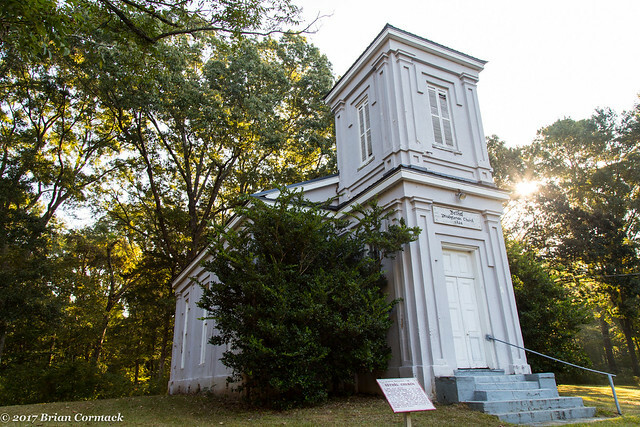 In 1864, the church was the setting of a small Civil War skirmish. 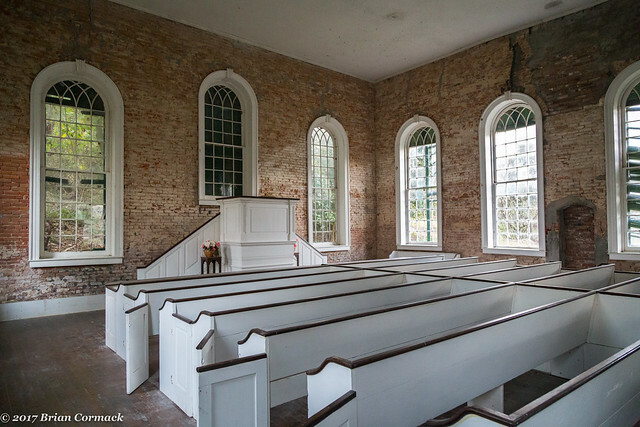 Union troops from a gunship that was stationed in Rodney attended a church service here, which was rudely interrupted by Confederate troops who took them hostage. The gunship (which was sitting in the Mississippi River) then proceeded to shell the church. A cannonball sits in the facade in the church, which isn't from that time but it was placed in a spot later on that received damage from the battle. And the interior of the church, which was in remarkably good condition. Clearly people still look after and take care of the church, even if it hasn't had any services here for decades. Besides the Civil War, there were several other calamities that struck Rodney. There were two yellow fever outbreaks, followed by two destructive fires that burned most of the town. But in 1870, a sandbar formed in the Mississippi River which caused it to divert two miles to the west. The port town lost its river access, and then a few years later the town was bypassed by the railroad. Most of the population left, leaving behind the scattered old buildings that sit like forgotten tombs. 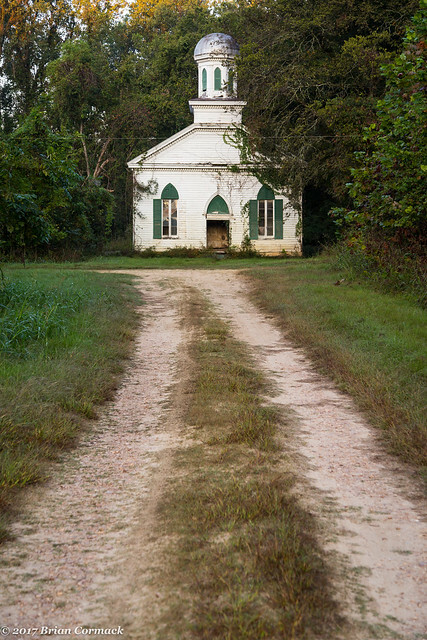 Just down the road is another old church, the Rodney Baptist Church which was built in 1850. But as I got closer I was a little annoyed to see that someone had parked their car right in the front of the church building. I tried to take a few pictures, but the car was right in the way and I'm not that skilled in Photoshop where I could remove it without it looking really bad. I looked around and there wasn't anyone else in sight, but maybe whoever parked there was inside the church looking around? I walked into the church and said "hello" a few times, just in case there was someone there. But then I jumped a little when someone responded back with their own "hello!" The voice belonged to someone who was inside a tent that was set up in the sanctuary of the church. It was still pretty early and I apologized for waking him up. And I wouldn't normally do this, but I then asked if they wouldn't mind moving their car. I had driven several hours from out of state, and I hated that all the shots would be ruined by the car there. Luckily they didn't seem to mind, and they moved the car out of the way. They explained that they were in from Texas and had wanted to camp out in a ghost town on Friday the 13th. I felt a little bad for waking them up, but they seemed cool with moving the car for a few minutes. Also they said they were glad that I wasn't a crazy person who approached them while they were sleeping and tried to kill them. Good thing Rodney is a little bit safer than Camp Crystal Lake. I hurried and got a few shots of the church, which has stood for over 150 years. The church was heavily damaged by floods a few years back, but hopefully it will keep standing for many more years. I got a few more pictures before driving back on the bumpy dirt roads towards another old relic of the past. More on that soon! 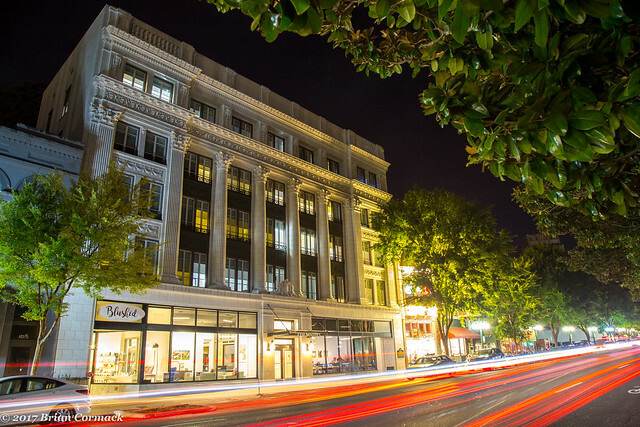 Hot Springs has to be one of the most architecturally diverse cities in the state. For being a fairly small city, the sheer number of historic buildings here is staggering (though not as many as it could be, too many have been torn down). But it is also one of those places that you can always find something interesting to get pictures of, so I eagerly headed down there a few weeks back with the camera. 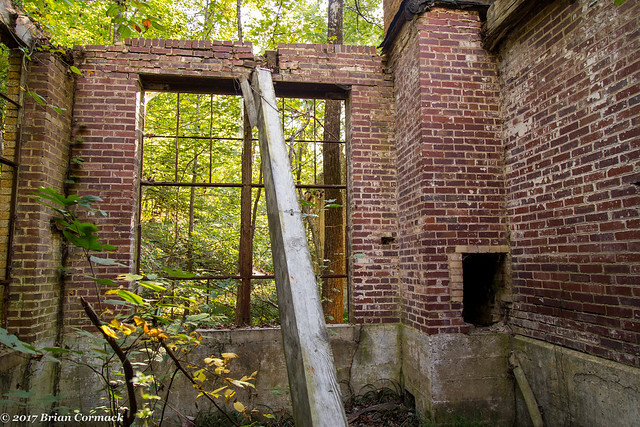 Just outside of the city is the old Chewaukla Bottling Factory, which was built in the 1930s but closed in the 1980s. 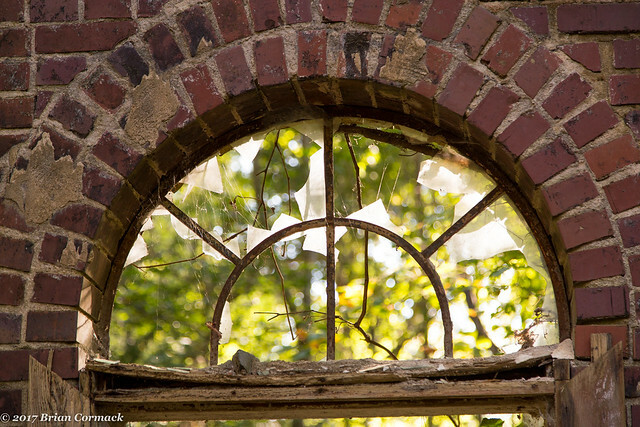 It is abandoned and falling apart, sitting nearly hidden in the woods. 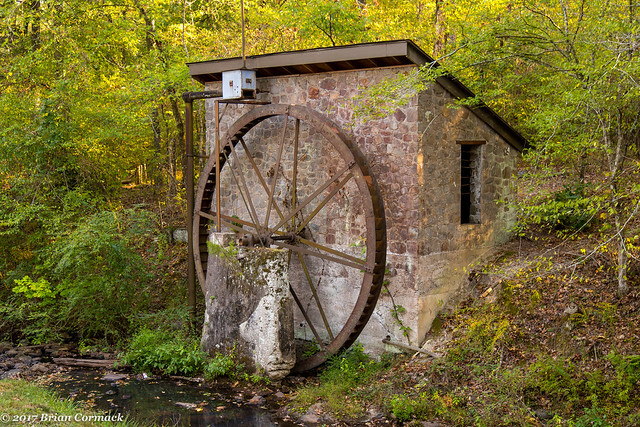 The ruins are built around five springs, which have been popular for centuries (legend has it that Native American tribes had medicinal cabins here. The name Chewaukla means "sleepy water"). Sometime in the 1930s, this brick building and some smaller gazebos were built to help lure in tourists to taste the waters. 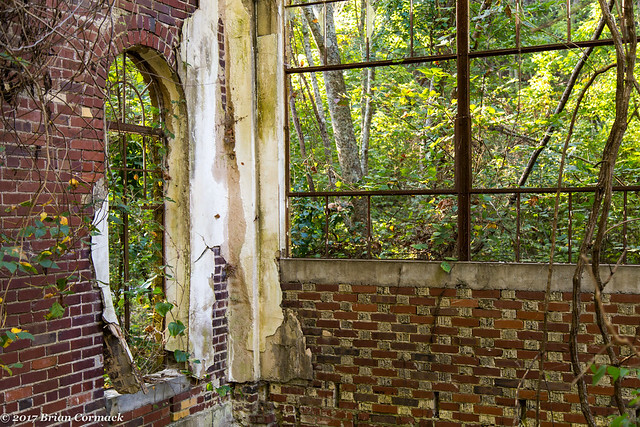 The building has now been abandoned for several decades, the brick walls are crumbling and the roof is long gone. Just down the road is the old Whitely Mill, which was built in 1921 and was used to power electricity for a nearby house. 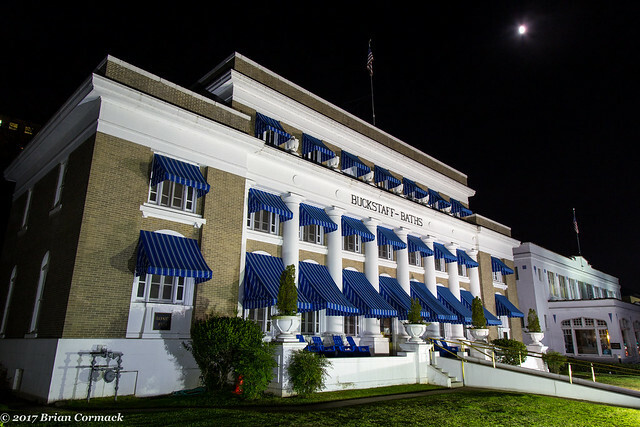 From there I headed into downtown Hot Springs and stopped by the old Knickerbocker Hotel. 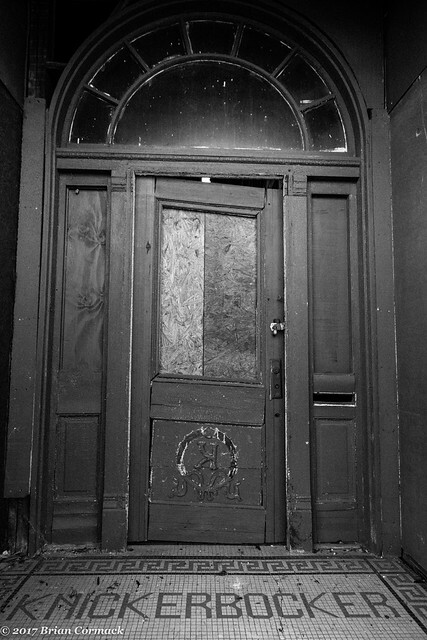 The hotel was built sometime around 1900, and catered exclusively to Jewish tourists and residents. But it too also eventually shut down and the building is abandoned (though it has been listed for sale recently). From there I visited the wonderful Superior Bathhouse Brewery to sample a few drinks, and then headed out at dusk to get a few more pictures. This is looking down Central Avenue towards the Medical Arts Building and the Arlington Hotel. 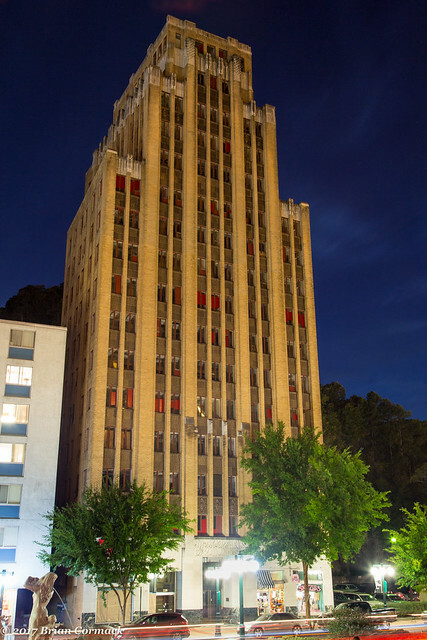 The Medical Arts Building is one of my favorite buildings in Hot Springs, it was built in 1930 but has been mostly abandoned now since the 1990s. On the right is the Arlington Hotel, which was built in 1924 and is still the largest hotel in the state (though it is starting to show its age, but a new owner has come in and promised to bring the hotel back to her former glory). And another view of the old Medical Arts Building. While I was taking this, someone walked by and asked if I was trying to take pictures of ghosts. I headed along Bathhouse Row in the National Park and stopped to get a shot of this view of Central Avenue. Here is the old Thompson Building, which was built in 1913 by the same architect who also designed the Arlington Hotel, the Ozark Bathhouse, the Arkansas State Capitol and Little Rock Central High. 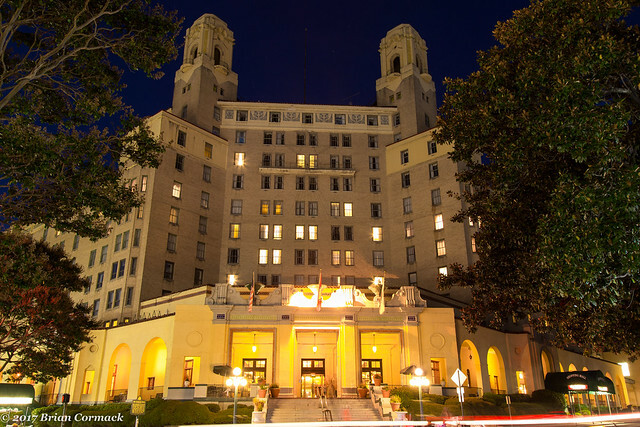 The upper floors of the building had been vacant for decades until they were recently converted into a hotel which opened earlier this year. Further down Bathhouse Row is the Buckstaff Bathhouse, which was built in 1912. Of the eight bathhouses along Bathhouse Row, the Buckstaff is the only that has remained in operation since it opened. All the others eventually closed when people stopped taking medicinal baths (and after the state made the city shut down the illegal casinos that used to operate across the street). 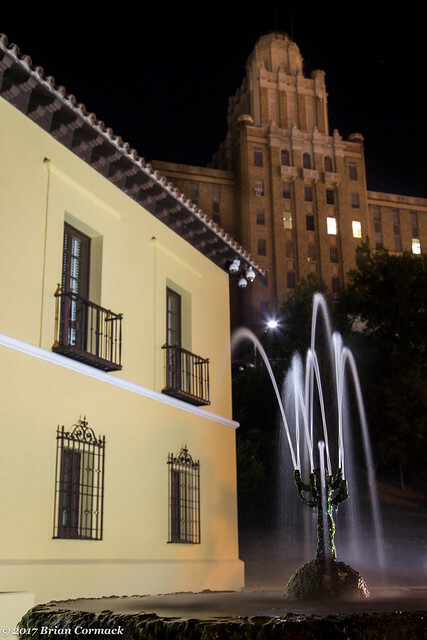 At the end of Bathhouse Row is this small fountain, which sits in front of the National Park Service's Administration Building (which was built in 1936). Looming in the background is the old Army and Navy Hospital, which was built in the 1930s. Hot Springs is a neat city, and I've always enjoyed my time while visiting there. But for all of its charms, Hot Springs can be a frustrating place. It has such a great amount of history, but then so many buildings downtown are abandoned and empty. And I hate to say it, but there is a certain bit of trashiness there that can sometimes bubble up to the surface like spring water. This sadly became apparent when I was out taking pictures that night along Central Avenue. As I was standing by the camera and tripod, someone in a car driving by yelled out a particularly nasty slur at me (I don't want to repeat it here, but it begins with an f and is seven letters long). Which was really just more disappointing than anything. I'm sure whoever did it was only trying to think of something crazy to yell at tourists that night, and I was just an easy target. But for a city that is trying so hard to attract tourists and redevelop its downtown, it's a shame that things like this happen. Anyways, this is the shot I was trying to get while people were yelling things. 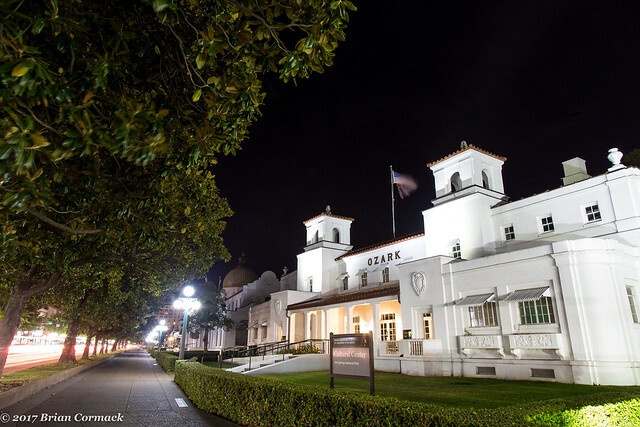 It's a view of the Ozark Bathhouse (built in 1922 and now a fancy spa), and the tall magnolia trees that line the sidewalk. After that I decided it was time to head back to the car and get back home to Little Rock.